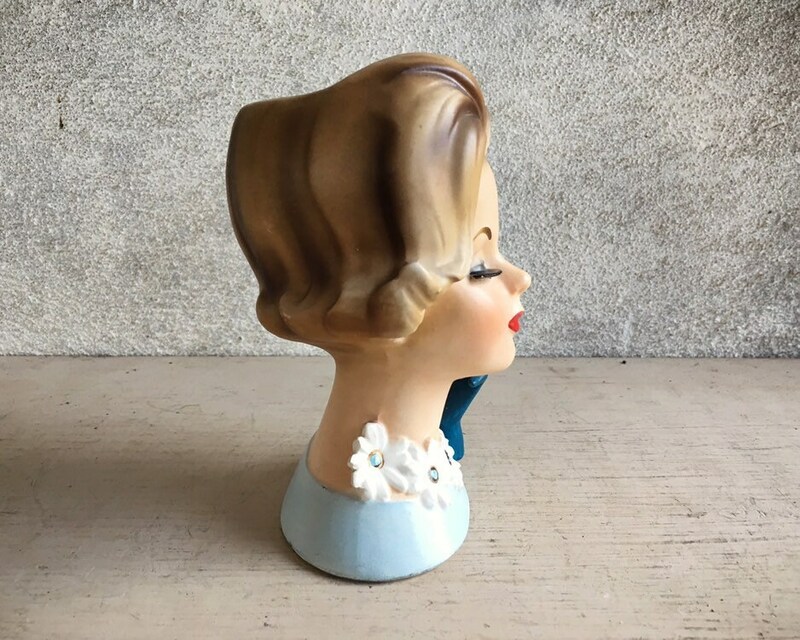 If you love lady head vases, you'll love this flip do gal with daisies, which harkens back to the style of Doris Day. 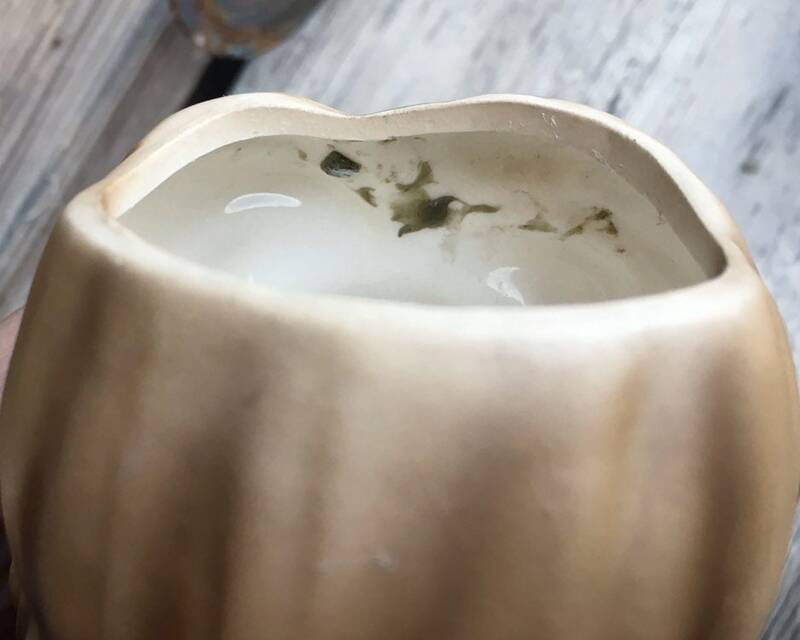 The vase is in quite good condition, the main issue being just a hint of flea bite along one eyelash and some stuck on material on the interior. 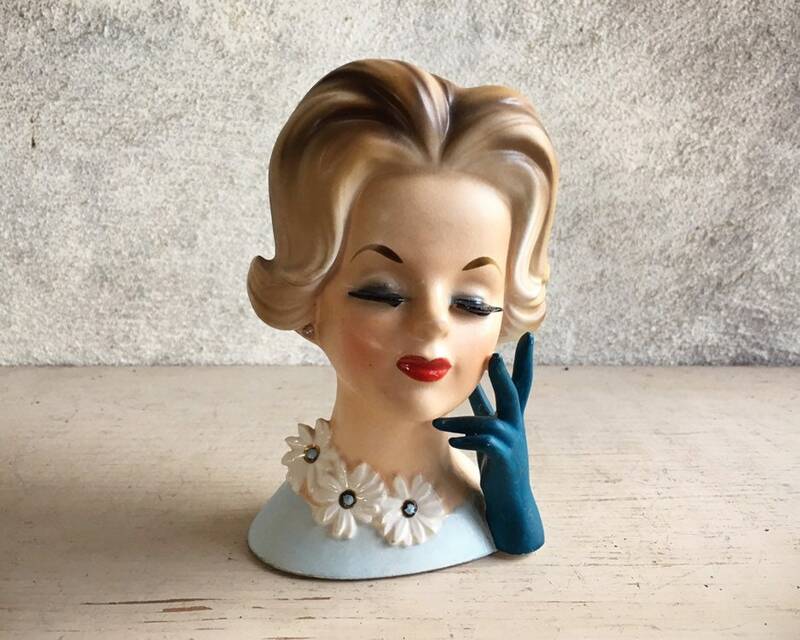 But is so lovely, and who doesn't love this highly collectible form. 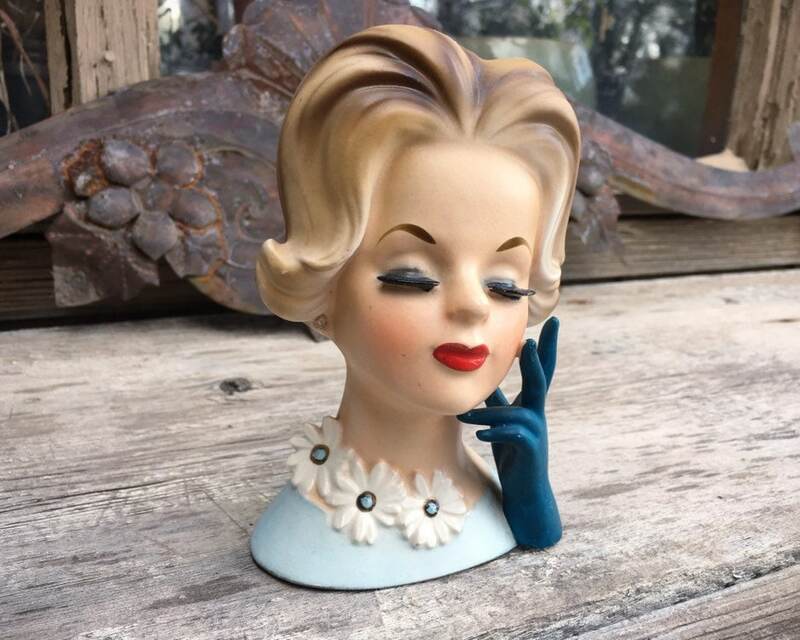 It is, after all, the year of the woman! 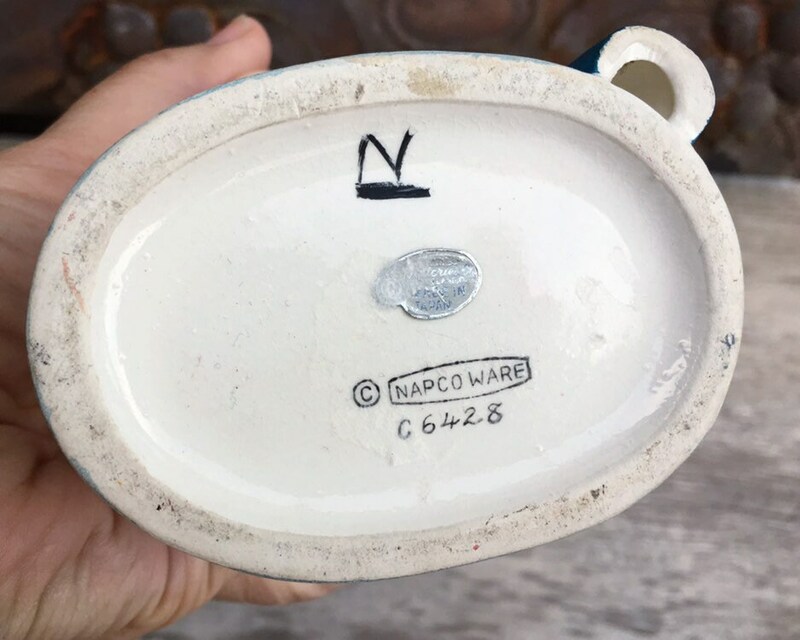 Still carries the foil Napco sticker on the bottom. 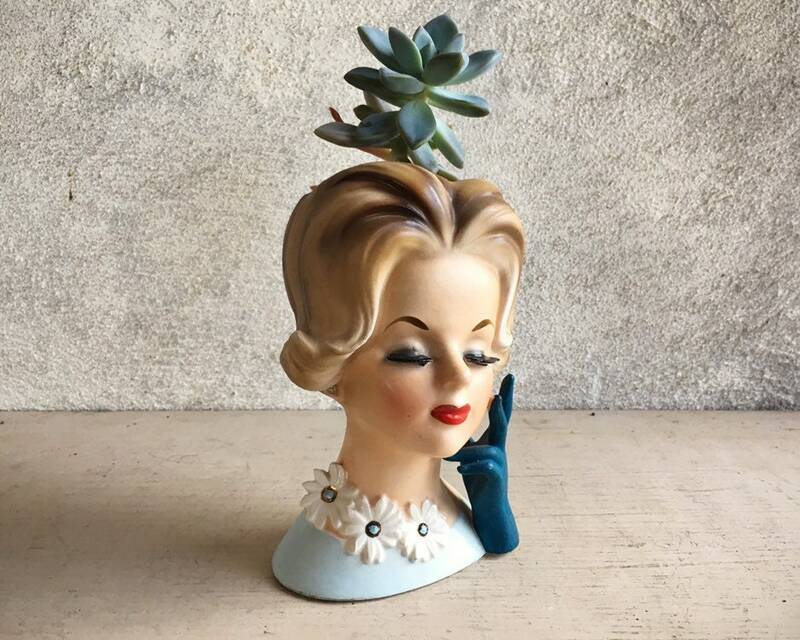 These vases sell out quickly, and so don't miss an opportunity to own this sweet gal. 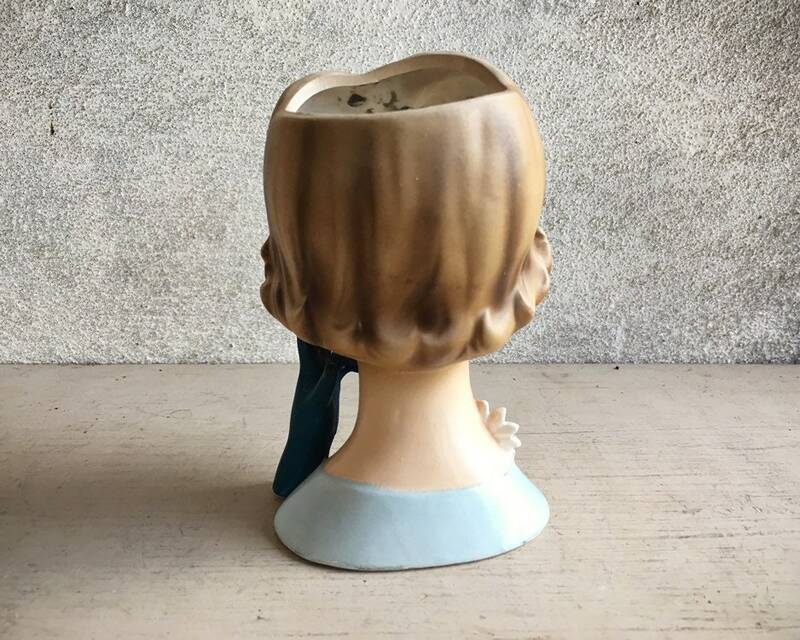 The vase measures 5-3/8" tall and the base is 3-1/2" by 2-3/8". 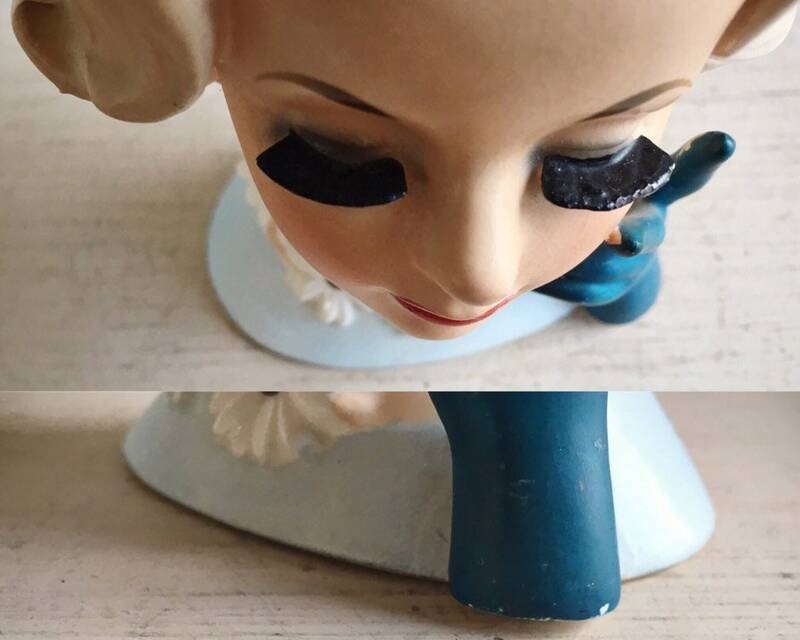 Other than the fleabites along some edges, is in good condition. 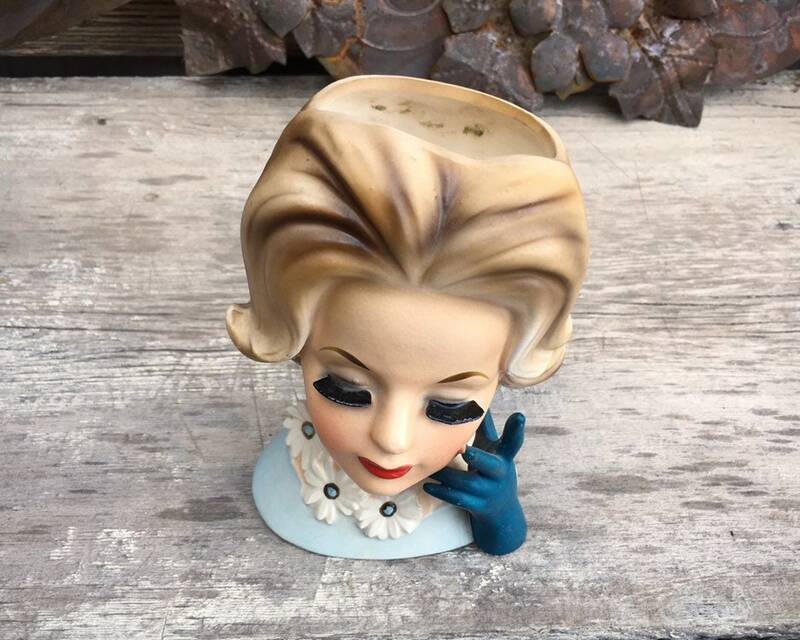 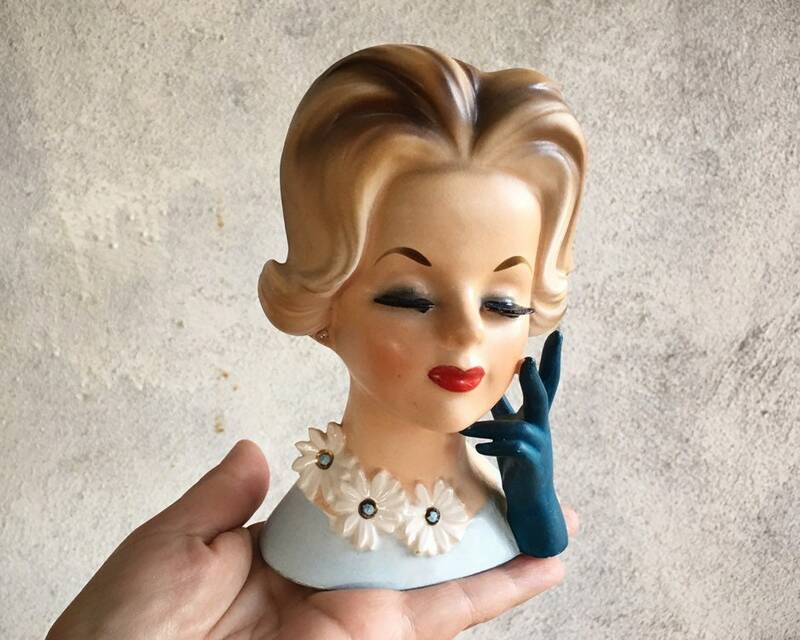 A wonderful lady to enhance your head vase collection.